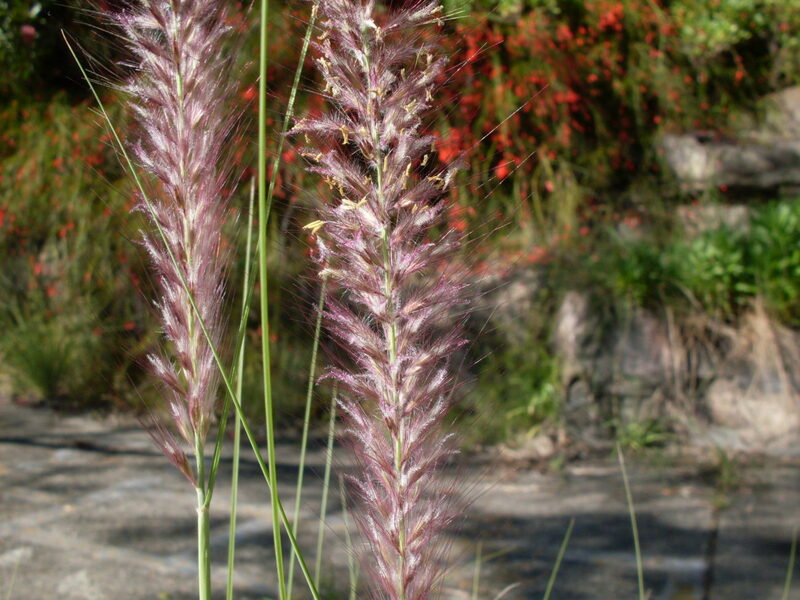 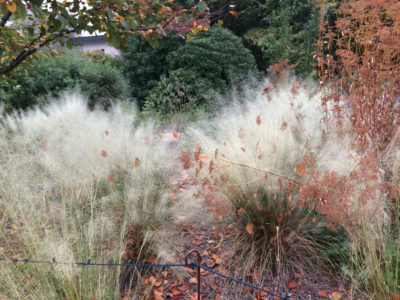 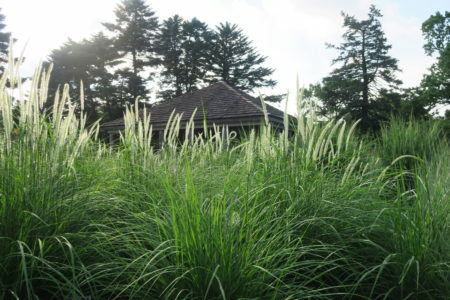 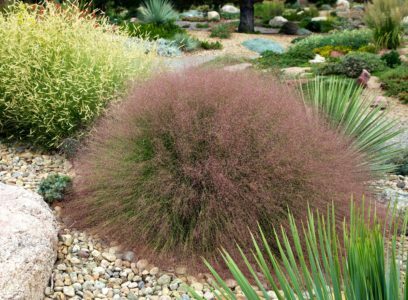 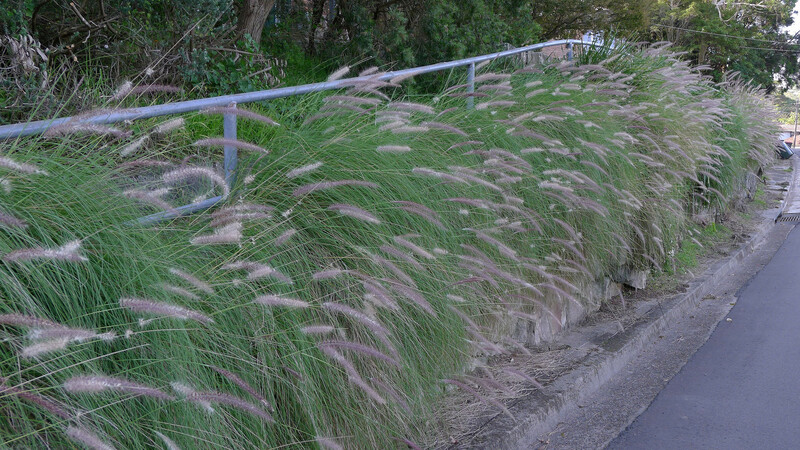 Fountain grass grows up to 5' in large clumps of long, narrow leaves with foxtail-like plumes in the summer. 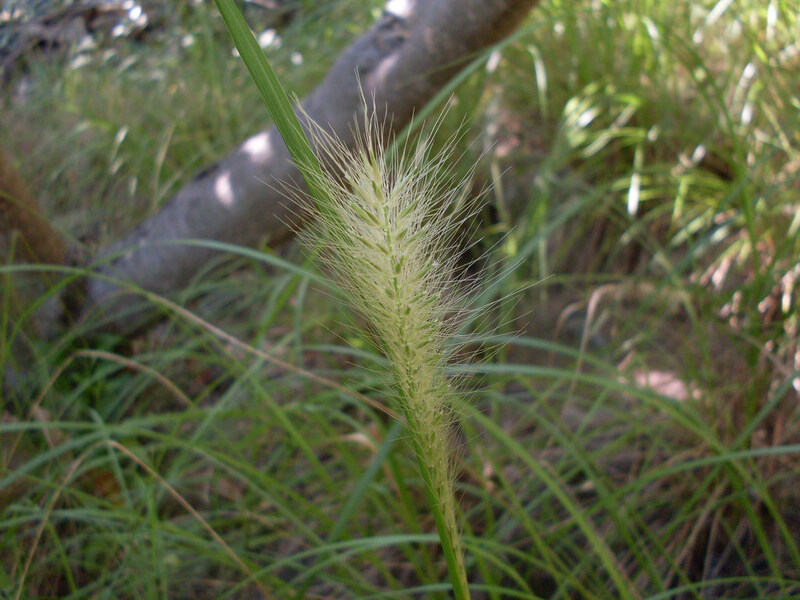 Pennisetum setaceum is originally from Africa and the Middle East. 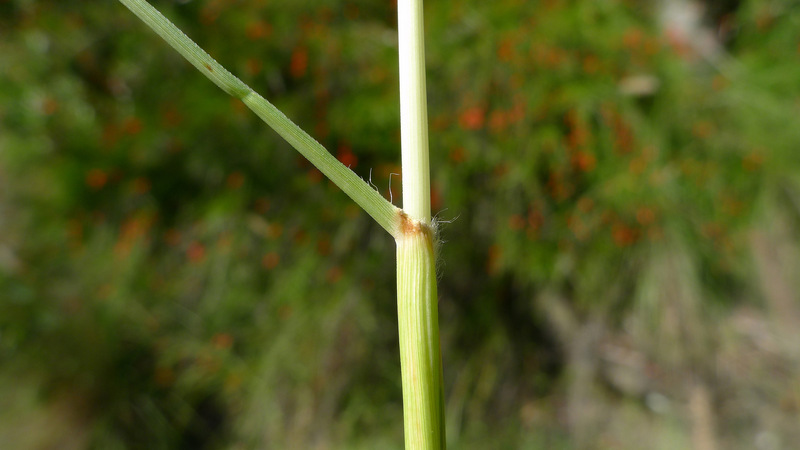 It has been introduced to many areas including Arizona, California, Hawaii, Fiji, South Africa, and Australia. 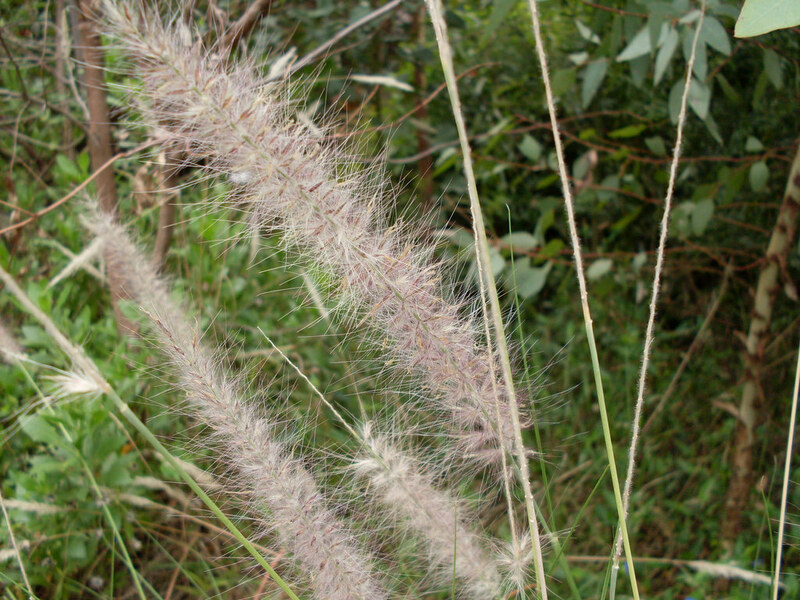 Many related plants are popular in the trade. 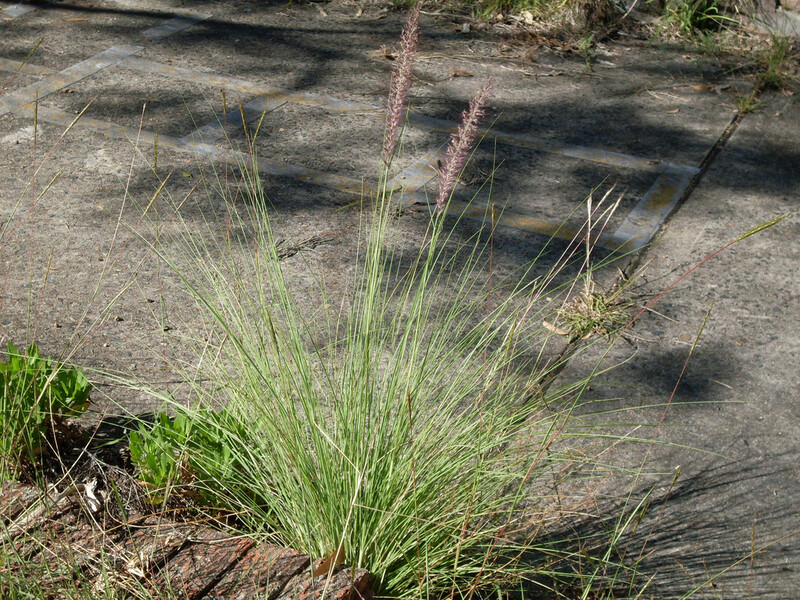 PlantRight only considers the parent species of Pennisetum setaceum to be an invasive plant in California, and only counts those plants in the nursery survey. 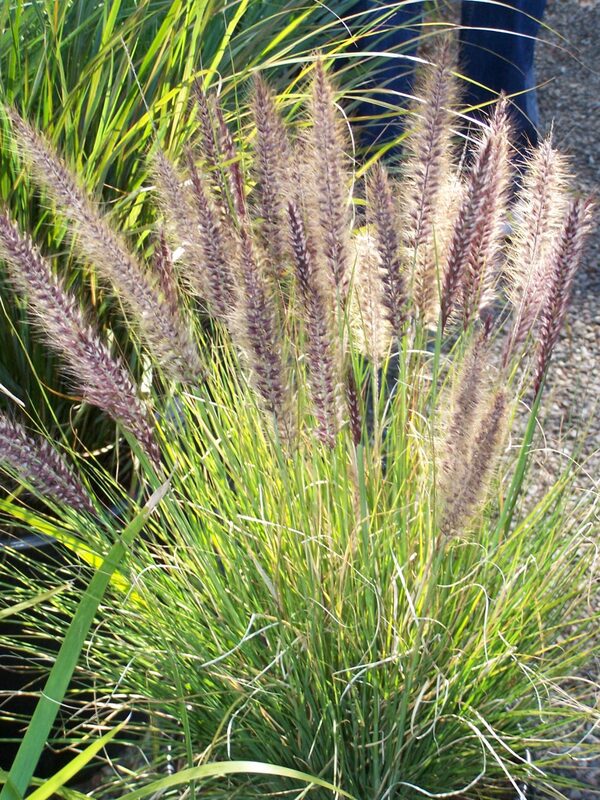 Pennisetum x advena 'Rubrum' is a commonly sold plant that is often labeled as a cultivar of P. setaceum, but it is actually likely a cross between Pennisetum setaceum and Pennisetum machrostachys, giving it the hybrid name Pennisetum x advena. 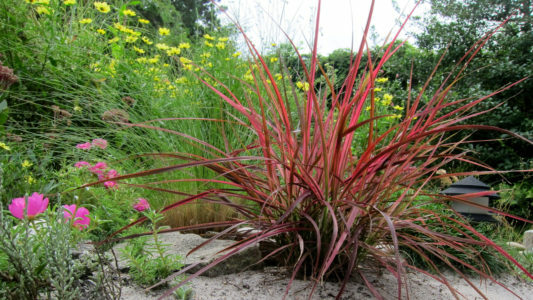 'Fireworks' was discovered as a sport (part of a plant that looks different from the rest of the plant) on a Pennisetum x advena 'Rubrum'. 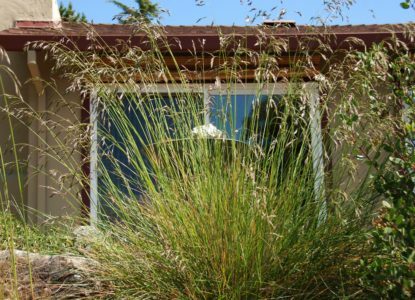 How does green fountain grass spread? 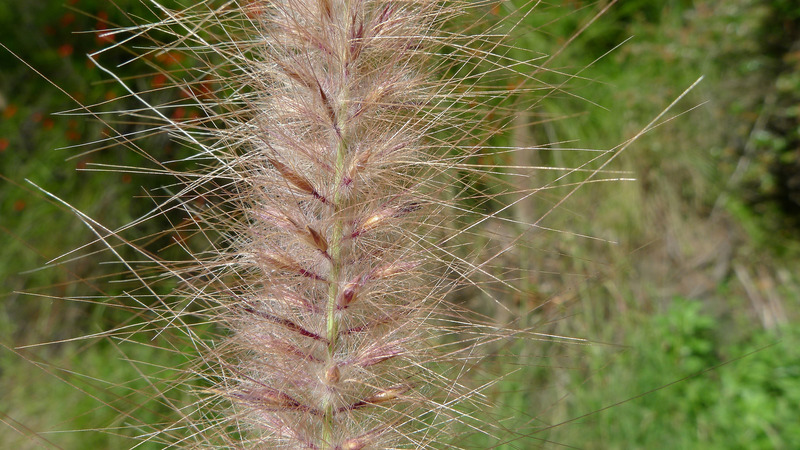 Green fountain grass seeds prodigiously, and the seeds remain viable in the soil for at least seven years. 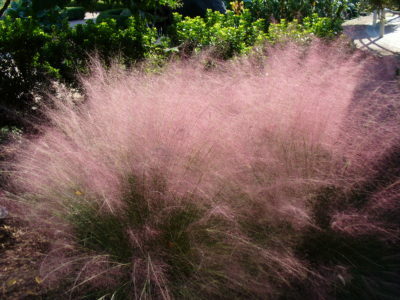 The seeds can disperse by wind, water, and possibly birds. 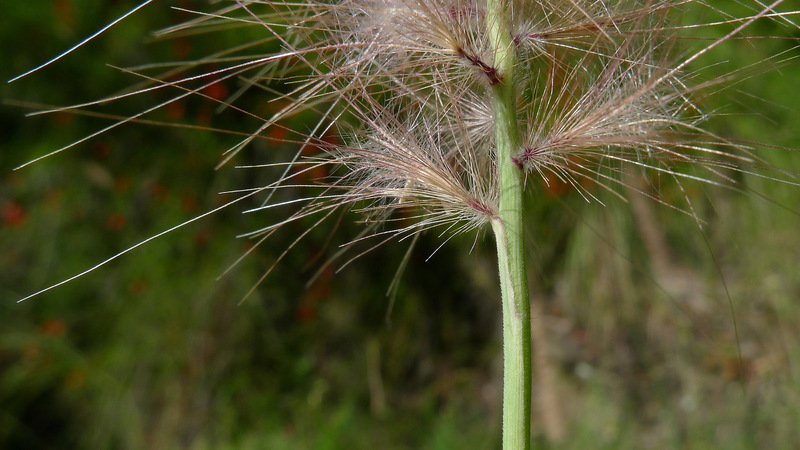 If removing this plant when in flower, carefully cut off seed heads and place them in a bag to avoid spreading the seeds. 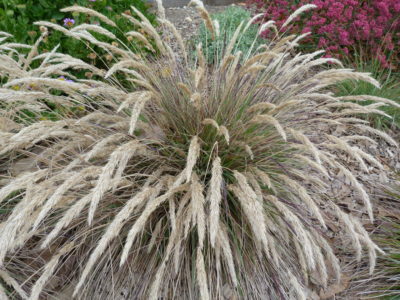 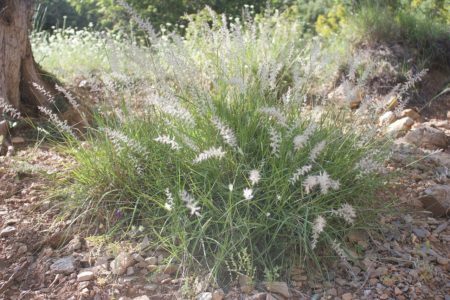 Where is green fountain grass found? 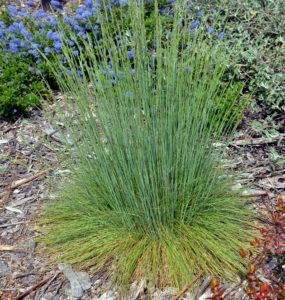 Green fountain grass has been observed invading coastal and desert ecosystems, including coastal bluff, coastal scrub, desert riparian and wash areas, grasslands, chaparral, and along roadsides and trails. 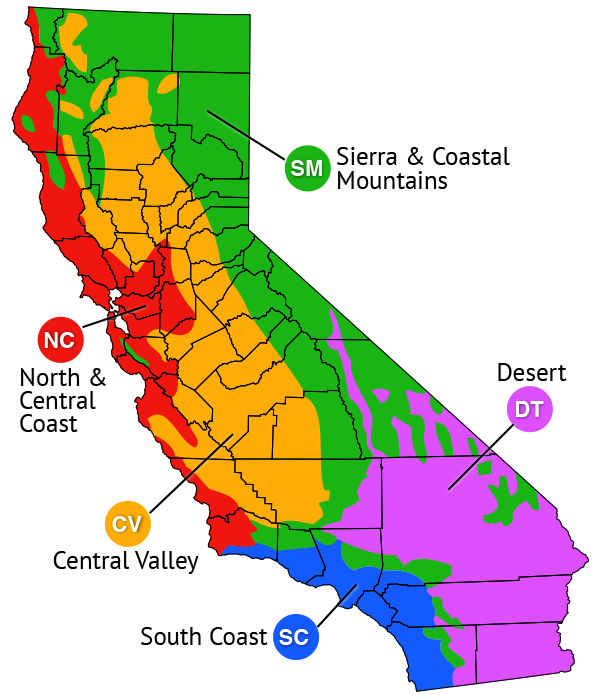 It has been reported as a problem in ten California State Parks. 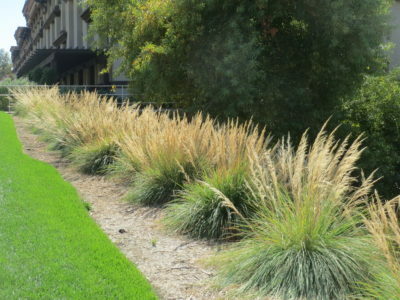 What problems does green fountain grass cause? 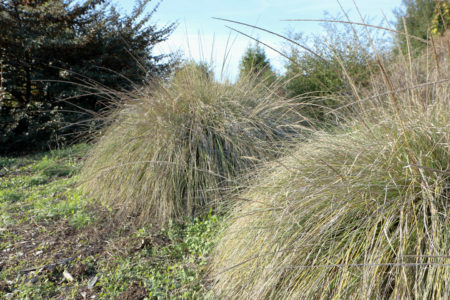 Green fountain grass has a higher growth rate and therefore a competitive advantage over native plants. It increases fuel load and therefore the frequency, intensity, and spread of fire. 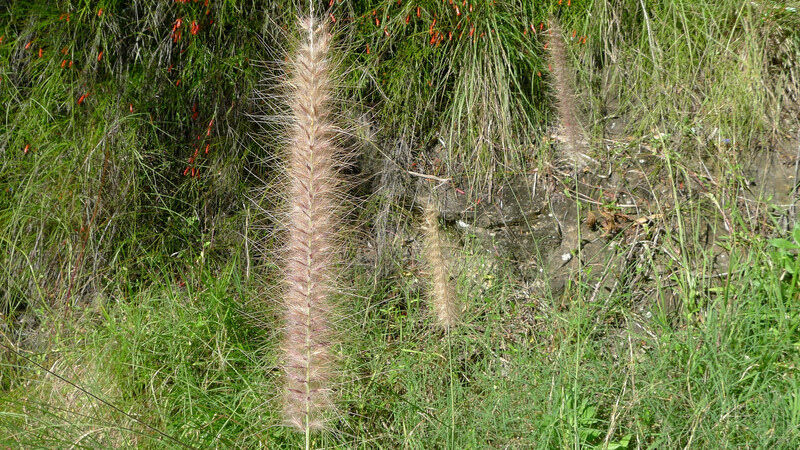 Fountain grass is well-adapted to fire and can increase in density following a burn. 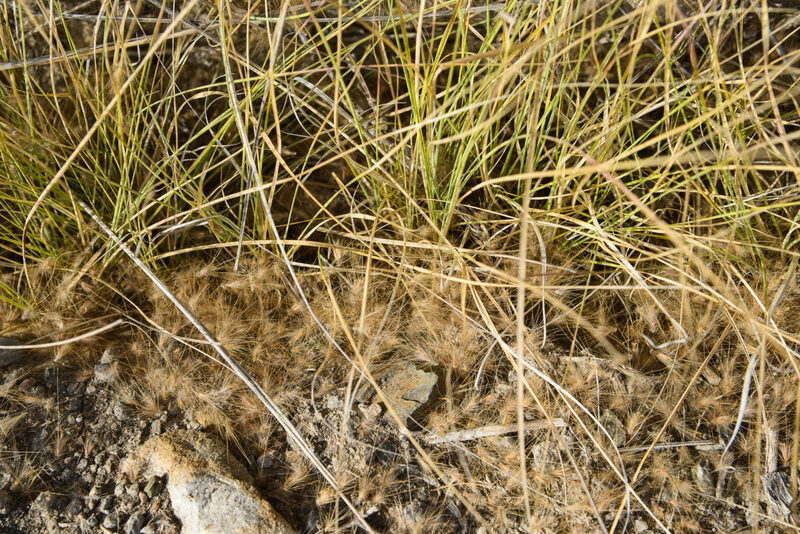 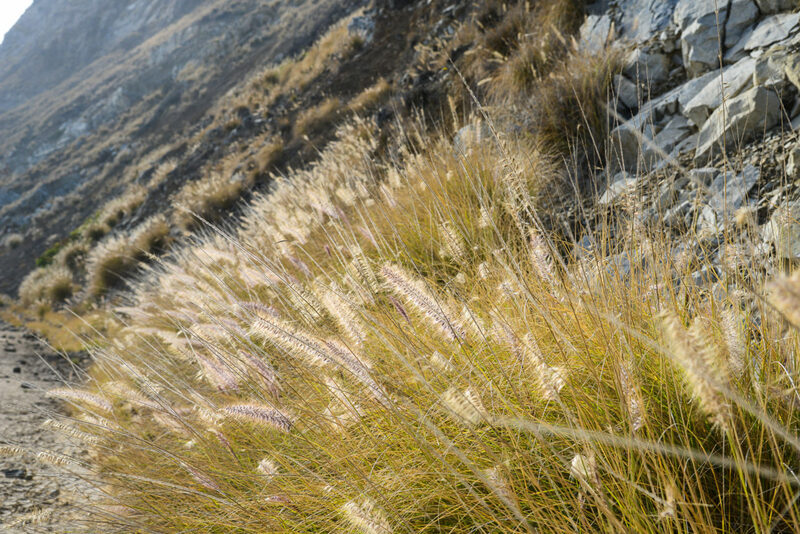 Intense fires result in severe damage to native plant communities that are not as fire-tolerant as fountain grass and may endanger rare communities. It is poor forage for browsing and grazing animals and can negatively affect ground nesting birds and other terrestrial wildlife when fires occur. 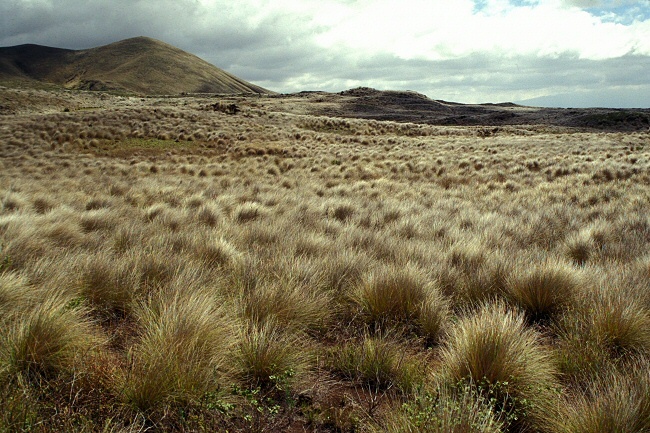 Fountain grass can become dominant in grasslands within 2-3 years if no control measures are employed.